The poll was released as part of the 5th annual Taste of Paris restaurant and food festival, which is being held from May 9-12 at the city’s Grand Palais. The results showed that most people (69%) find it annoying when other diners use their smartphones in a restaurant, with men and those over 50 most likely to find it irritating. 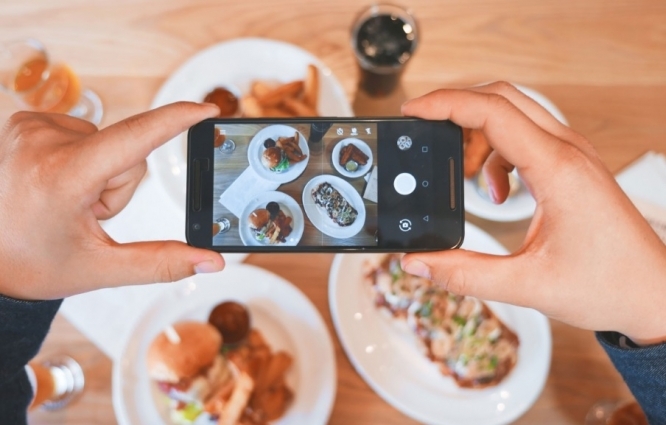 Yet, the same study showed that 40% of French people regularly use social media in a restaurant, and mainly do so to post photos of their food (29%), or to “check in” where they are geographically (15%). Women aged 18-24 (45%) and women aged 25-34 (54%) were the most likely to do this, and were found to be the biggest fans of Instagram, Facebook, and Twitter. Similarly, 74% of people respondents said that they had previously shared photos of their dishes with their partner and friends via smartphone. The poll also asked people about their dining preferences in general. The first part of the study, released earlier, had already shown that 55% of French people were attracted to Michelin-level dining, especially women (60%) and people aged 25-34 (62%). But for the 70% who said that Michelin stars were not accessible to them, 55% said they did not have the money; 51% said they felt uncomfortable in such a setting; 40% said they would not appreciate it; and 39% said they feared that they would not understand the menu. Just 22% of people said they planned to eat at a Michelin-starred restaurant this year. In terms of general ordering style, 58% of diners said that they prefer to go for a “sharing plate”, “tapas-style” option (ordering several small plates and sharing them with everyone). However, more than three in five (63%) respondents said that they still generally prefer to order a traditional meal (starter, main, dessert) rather than use a “mix and match offer”. Satisfaction-wise, 85% of people said that they had previously been in a restaurant where the service was memorably slow, and 78% said that they had previously regretted a menu choice once they had been served it.